Routine Maintenance On Mar.28th 2019! Let's Have A Break! 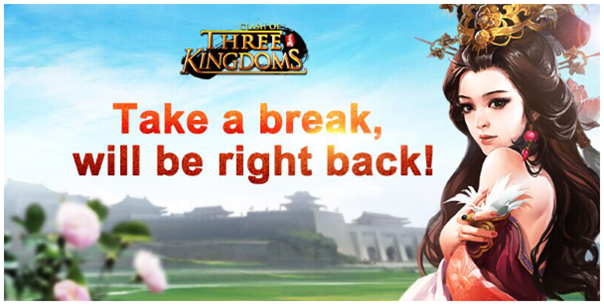 Clash of Three Kingdoms will undergo routine maintenance from 12:30 p.m. on Mar.28th 2019, which will last about three hours. During that time, you will be disconnected from the game. Thank you for your patience. 04:30 Thu. Mar.28th 2018 (GMT).